We sell only the best in deburring hand tools made by Dynabrade. From air grinders to hand-held air belt sanders. Since 1969, Dynabrade has earned a reputation and position of continued leadership in the innovative design and manufacturing of unique portable deburring power tools. 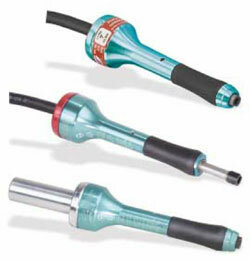 Dynabrade tools grind, deburr, file, sand and polish to meet the needs of many types of industries. For more information on our extensive line of Dynabrade Deburring Hand Tools and Hand Tool Accessories, please contact us.